Worried about your child's addiction? We can help, Call Now! Do I Need a Residential Rehab Facility? How Long Does Inpatient Dextroamphetamine Rehabilitation Last? Should I Travel or Stay Near Home? Are You or the Addict Ready? Dextroamphetamine is a central nervous system stimulant used for treating both attention deficit hyperactivity disorder and narcolepsy. When used at prescribed levels, the drug is rarely addictive. When used recreationally, however, dextroamphetamine can be highly addictive. The addiction can often be conquered successfully with the help of a rehab program. Rehabilitation for dextroamphetamine consists of two primary parts: detoxification and therapy. The detox removes the drug from the user's system, ending the physical dependence on the drug. This is then followed by the therapeutic period, which deals with the reasons behind the drug abuse as well as methods for avoiding further drug use. There are two types of rehabilitation facilities available for treatment of dextroamphetamine addictions. These are inpatient facilities (where the dextroamphetamine rehab program is residential in nature) and outpatient clinics (where rehabilitation takes place on a non-residential basis). Therapy offered by both facility types is the same, but inpatient facilities have the advantage of having 24-hour medical supervision available as well as placing restrictions on the patient that can help prevent the intake of unauthorized drugs during the rehab process. A 2006 Monitoring the Future study showed recreational amphetamine use at 7.3 percent among 8th graders, 11.2 percent among 10th graders and 12.4 percent for 12th graders. With such prevalent usage, addiction to amphetamines like dextroamphetamine is commonplace. Quitting the drug without a dextroamphetamine rehab program places you at risk for experiencing withdrawal. With a rehab facility, though, you can be weaned off the drug with reduced withdrawal symptoms or no symptoms occurring at all. For further information on rehab facility locations, call 1-888-341-7785. Tolerance to dextroamphetamine occurs when your body becomes used to having the drug, resulting in the drug no longer having the same effect as before. Increasing the dosage can ramp up the effect back to close to the original high, but the result is increased tolerance toward the drug. In time, your body becomes used to having the higher drug levels present, and reducing the drug amount or quitting altogether results in withdrawal. At this point, a dependence on the drug is developed and can lead to addictive behaviors to obtain more of the drug. Because rehab is a medical procedure, your records of undergoing treatment at a dextroamphetamine rehab program are legally protected to ensure your privacy. The rehab process is dependent on honest communication between the user and those in the program. Because of this, the rehab facility administrators protect your confidentiality as well. Privacy can be further enhanced in some programs with a private room during your stay. The availability of the private room depends on the particular dextroamphetamine treatment center you choose. Participation in a dextroamphetamine rehab program requires that you devote enough time for both the detoxification process and therapy after detox. A minimum of 30 days is usually necessary to allow the time for both, but programs may take as long as 60 or 90 days depending on your progress. Residential communities are also available, usually for those residents requiring help with adjusting to sober living conditions. 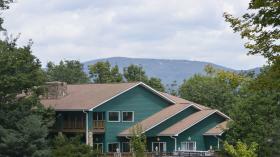 These communities offer extended residencies, typically lasting from six months to a year. When you first arrive at the dextroamphetamine treatment center, you'll be put through an intake and assessment process. During this process, you'll be given a medical exam and asked about your medical and drug history. A urine test is also given to ensure that the medical personnel at the facility know what drugs you may have taken before entering the facility. After the assessment, you're put through the detox process. Detox consists of lowering the drugs in your system daily to a point where stopping the drug intake no longer causes severe withdrawal. Once you've completed detox or once you're stabilized on the new lower drug levels, you can begin the therapeutic period of the treatment process. You'll also be treated for any concurrent illnesses you may have. The therapy lasts throughout the remainder of the dextroamphetamine rehab program until you're released from the facility. After leaving the facility, you can either enter into a sober living community or continue with other aftercare options like further therapy or drug addiction support groups. Call 1-888-341-7785 for detailed information regarding rehabilitation treatment procedures. The cost for your treatment is based on the treatment facility and the length of the treatment process. Treatment costs are usually covered by health insurance, but financing options are available if your insurance fails to sufficiently cover the bill. Payment plans may be available to break up the costs into multiple payments, or discounts may be offered to actually lower the total cost of the treatment itself. Dextroamphetamine treatment centers are available all over the country. This gives you the choice of staying near home for treatment or traveling to your chosen facility. Staying near home keeps you within easy reach of your support network of family and friends. Traveling, however, isolates you from your usual environment, allowing you to better concentrate on the rehab process without distractions. Choosing to stay or go depends on which situation you feel provides the greater chance of succeeding in rehab. If professional responsibilities have deterred you or someone you care for from getting help for a drug or alcohol issue or behavioral addiction, executive rehabilitation facilities may be the best option. By marrying great illicit substance and behavior addiction treatments with the ability to use a computer or cell phone, an executive or company president can get help in privacy and seclusion. Often, modern drug treatment centers offer the luxury amenities you'd normally enjoy in 4 and 5-star hotels, with your comfort and enjoyment being the top priorities. From private rooms and 5-star chef-prepared meals to fine linens and gym facilities, you can get excellent illicit substance and behavior treatment for yourself or someone you care for while relaxing in style. If you need a hand in looking for the greatest luxury treatment facilities for Dextroamphetamine addiction, call our no-cost hotline today at 1-888-341-7785. Recovery isn't complete after leaving the dextroamphetamine treatment center. You'll need to keep working on living a clean and sober lifestyle if you wish to avoid returning to abusing drugs. You can get help in the recovery process, though, through continued therapy or through participation in support groups like Narcotics Anonymous. The Drug Abuse Warning Network (DAWN) reported 10,616 emergency room visits due to recreational use of central nervous system stimulants like dextroamphetamine in 2005 alone. Continual drug use can be hazardous to your health, so if you have an addiction, it's time to receive help in breaking the addiction now. From the moment you acknowledge having a problem, you're ready to enter into a program to deal with your addiction. Call 1-888-341-7785 for information on treatment options and to find a dextroamphetamine rehab program with immediate openings. Learning as much about the rehab process as possible can help you feel comfortable with entering into a dextroamphetamine rehabilitation facility. Research the entire treatment procedure to avoid surprises during rehab. Your research should cover the detox process as well as the therapy used in any program that you're considering. It is also important to learn the program method. Many programs follow a 12-step process, but there are others that may use a more secular approach, a faith-based approach or holistic methods instead. You should also look into aftercare options like sober living communities and continued therapy. If you're researching a dextroamphetamine rehab program because you wish to help a family member or a friend get help, you may want to learn about how to proceed with an intervention to present the best arguments for treatment. No matter how long you've been addicted to dextroamphetamine, it's not too late to get help. As long as you're committed to getting clean, success is possible with the help of a high-quality dextroamphetamine rehab program. All it takes is time and the desire to live a clean and sober lifestyle. Calling 1-888-341-7785 can be the first step toward that lifestyle, and an addiction advisor is ready to help you find the program you need. Call us toll free 24/7 at 1-888-341-7785	Who Answers? How Long Does Treatment Take? What are the slang, street names or nicknames for dextroamphetamine? Am I addicted to dextroamphetamine? What are the long-term effects of dextroamphetamine abuse? Using dextroamphetamine long term can lead to vitamin and sleep deficiencies as well as malnutrition due to the reduction in appetite and fatigue caused by the drug. You may also experience hallucinations, paranoia, violent behavior and delusions resulting from amphetamine psychosis. Find a Rehab Center Today! Searching is Fast, Free, and Convenient. Why Wait? Don't see your zip? Search Manually Below. Which state would you like to browse treatment centers in? How Worried Should We Be About Benzos?